WASHINGTON, D.C. � The National Association of Broadcasters (NAB) will present the Spirit of Broadcasting Award to veteran radio industry reporter Tom Taylor during the 2019 NAB Show in Las Vegas. Taylor will accept the award on Monday, April 8 at the NAB Show Opening. Tom Taylor recently retired after a three-decade career covering radio. 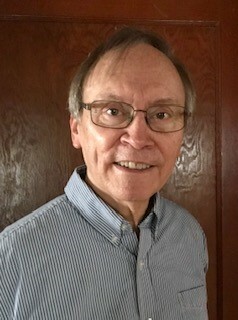 His journalism career included stints as editor of the daily Tom Taylor NOW e-publication newsletter, launched in November 2012 and published through RTK Media with partners Robert Unmacht and Kristy Scott. Previously, Taylor served as editor of Inside Radio, M Street Journal/M Street Daily and the TRI newsletter from Chicago-based Radio-Info.com. Before turning to journalism, Taylor served as vice president of programming and operations for Nassau Broadcasting�s WPST/WHWH in Princeton, NJ. He also programmed WKQQ Lexington, KY and WCHL Chapel Hill, NC. He was a Morehead Scholar at the University of North Carolina - Chapel Hill. The second-generation broadcaster is the son of Bill Taylor, a former radio/TV personality in Orlando and radio general manager in Charlotte. The Spirit of Broadcasting Award recognizes general excellence and leadership and is given to individuals or organizations that have made lasting contributions to over-the-air broadcasting. Previous recipients include radio and television entrepreneur Lowell �Bud" Paxson, improvisation and acting training center The Second City, Hubbard Broadcasting founder Stanley E. Hubbard, Communications Daily broadcast beat reporter Dawson B. "Tack" Nail, American Women in Radio and Television, "60 Minutes" creator and executive producer Don Hewitt, and Hispanic broadcasting pioneers Emilio Nicolas Sr. and Raoul A. Cortez.